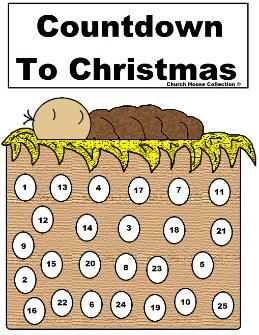 This is a free printable Baby Jesus in the manger advent calendar for the kids to do. Just pick which one you need and print it out. 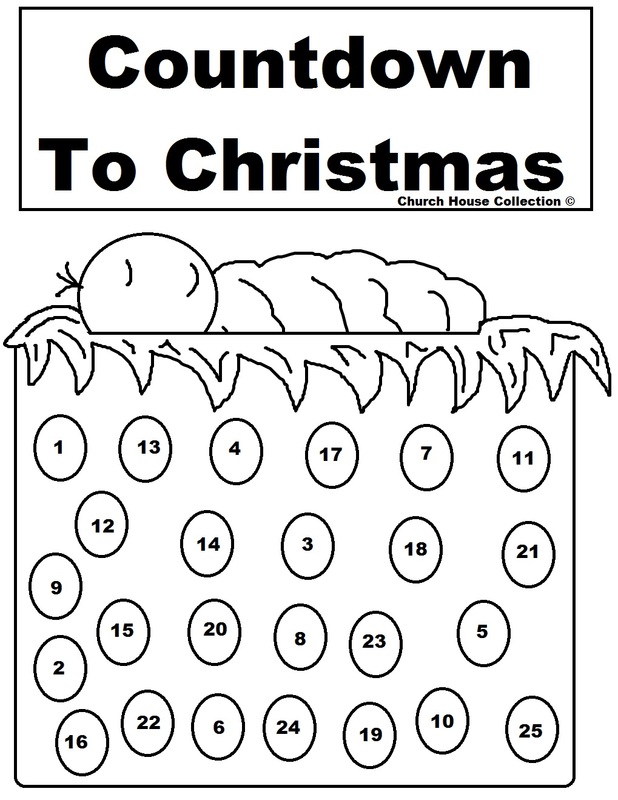 We have a black and white one for the children to color if they want. 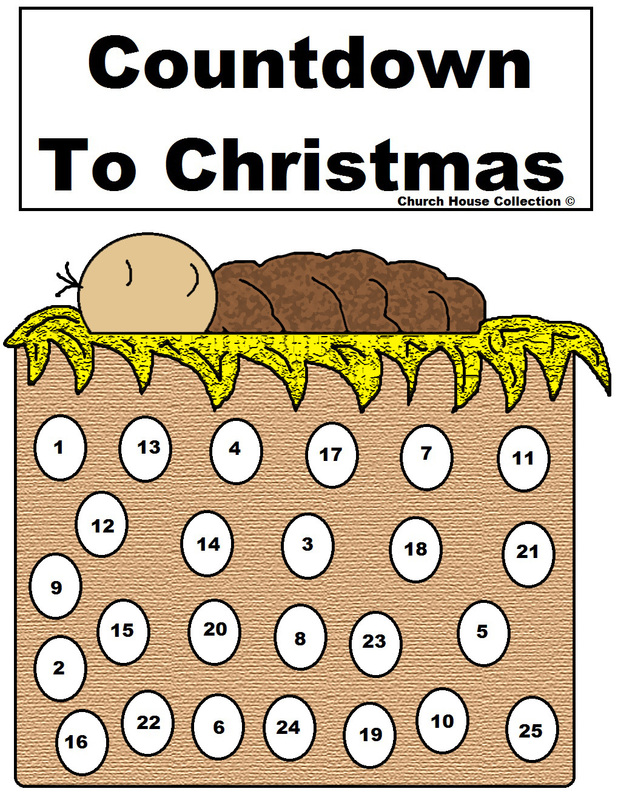 Just have the kids fill the bubble number with each passing day with a crayon or maker. They could add glue to the bubble number and sprinkle glitter on it instead. Or try letting them glue small colorful glitter pom poms to it instead.